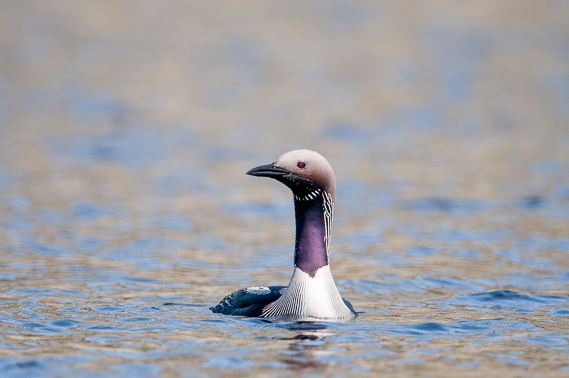 One of the star species on any trip up to the north of Scotland must be the Divers. 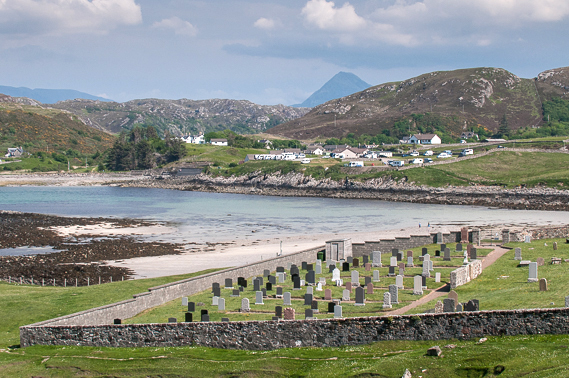 The small lochans around Lochinver can be productive for the Black-throated, whist the Red-throated can be virtually relied upon to be in Scourie Bay. It’s not uncommon to encounter up to four at the same time here. 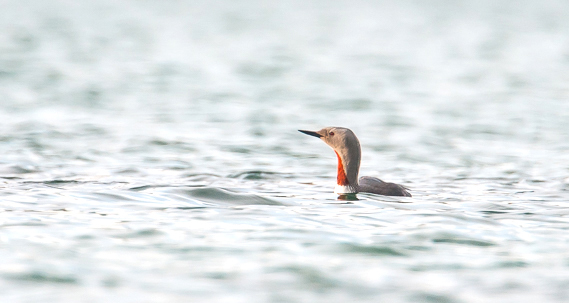 A slow drive past and a sitting vigil will be often rewarded, but time and patience are crucial when looking for divers. I can’t get enough of it! In the right light the elegant, stately Black-throated Diver could, you feel, have been more aptly named Purple-throated Diver, a wonderful sheen being apparent. 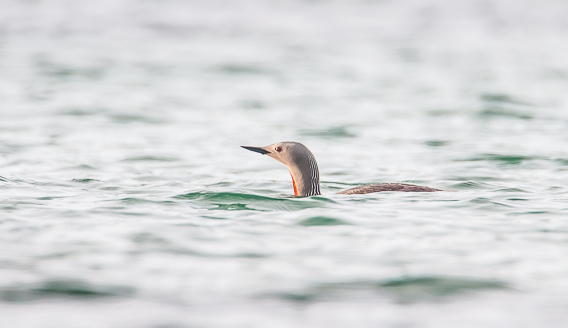 The Great-northern Diver is a bonus at this time of year but can be found in isolated bays and further out around the islands. 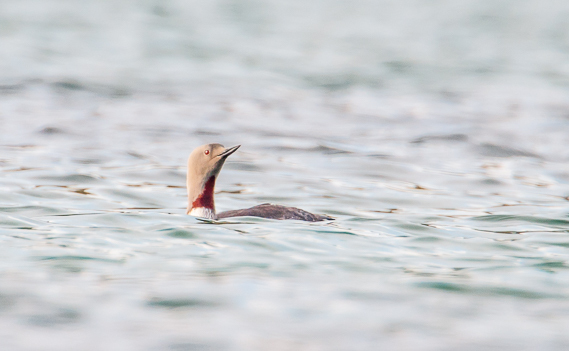 It’s a treat to see this Diver in its glorious summer plumage, as it is more often encountered around our coasts and inland lakes in winter. I’ve a large collection of old bird books, some by pioneering photographers of their day, and will quote from these throughout the posts that are related to birds, along side my images. It’s a joy to scan and search for these quotes through my library and find such a wide range of material that brings the images to life in a way that my words could never do. Not always do these quotes sit easily either, as the one chosen here to accompany the Black-throated Diver plainly illustrates. This from an account by a Mr. Selby quoted by Yarrell in A History of British Birds, 1843. 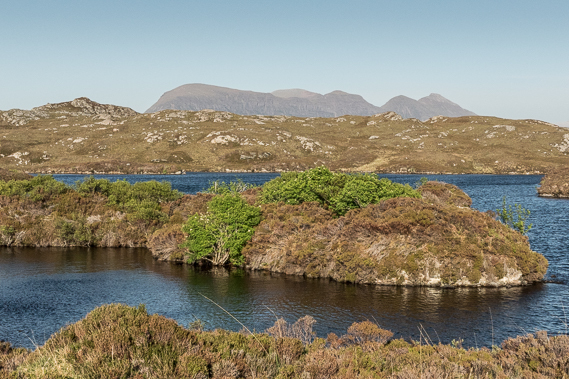 On the day following, the 31st of May (1834), Mr. J. Wilson was fortunate enough to find two newly-hatched young ones in a small creek of Loch Craggie, about two and a half miles from Lairg. 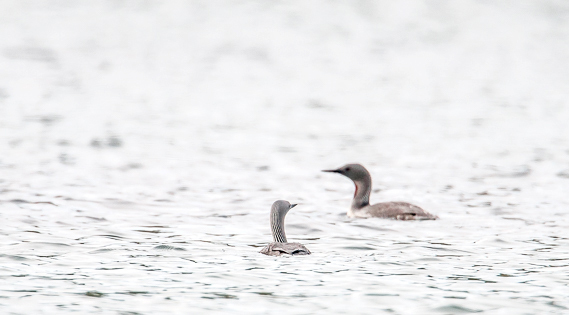 After handling and examining them (Black-throated Divers) during which the old birds approached very near to him, he left them in the same spot, knowing that we were anxious to obtain the old birds. 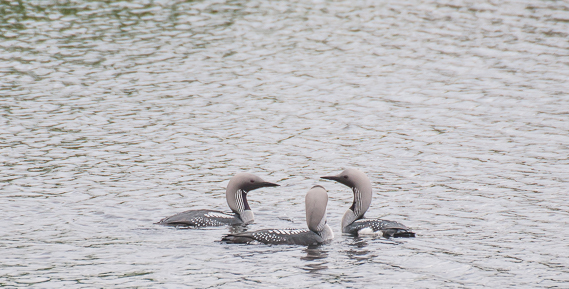 Accordingly on the Monday morning we had the boat conveyed to the loch, and on our arrival soon descried the two old birds attended by their young, and apparently moving to a different part of the loch. Contrary to their usual habit at other times, they did not attempt to dive upon our approach, but kept swimming around their young, which from their tender age, were unable to to make much way in the water, and we got sufficiently near to shoot both of them through the neck and head, the only parts accessible to shoot, as they swim with the whole body nearly submerged. The female could only be distinguished from the male by a slight inferiority of size, and both were in the finest adult, or summer plumage. A quote from the book ‘Haunts of British Divers’ by Niall Rankin, published in 1947 with some fine black and white plate photography by the author, beautifully describes the summer plumage of this slightly smaller diver. In shape and size this diver is very similar to its cousin the black-throat, though a fraction smaller. Seen swimming, it gives the impression of being a much dowdier personality, there being non of that wonderfully contrasting black and white which makes the black-throat so outstanding, though as far as character is concerned the impression is entirely false. Perhaps its most noticeable feature is the very definitely retroussé effect of the bill. The upper mandible is set at a slight angle from the horizontal and the lower one is tapered off towards the end, giving the whole a very markedly upturned appearance. The cheeks and sides of the upper neck are of the same beautiful dove-grey as in the black-throat. The top of the head carries a series of dark markings as if it had been stippled with a very fine black brush; at the back of the crown these develop into a series of delicate black-and-white stripes similar to those on the other diver, except that they run vertically down the back of the neck instead of the side. As they near the base of the neck they sweep outwards as well as downwards taking the place of the grey until they lose themselves in the greyish-brown of the mantle. The bill is black, though along the upper edge of the top mandible it is appreciably paler, ending at the base in a broad plate which is almost white. The throat bears a long, narrow, blood-red patch which ends simultaneously with they grey of the neck, just above the point of the breast. The whole of the underparts are white. Both sexes are alike, though at close quarters it is noticeable that the male has a distinctly thicker neck. 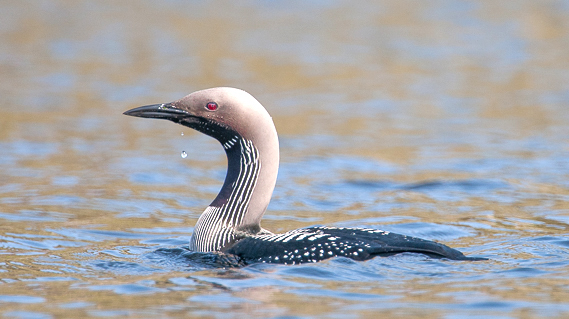 And finally the biggest of the three ‘stars’, the Great-northern Diver. First time I had really had a chance to study the markings of this diver as its nearest breeding ground to our shores is Iceland. It was spectacular! One sighting was late at night in a bay in which we were wild camping, Culkein, and the other whilst sailing off Eigg. The final quote comes from a 1922 publication, ‘Wild Birds and Their Haunts’ by W. Halliday and once again in a graphic illustration describes another infraction of one of the most beautiful of birds. A curious bit of Lapland folk-lore may be inserted here. The inhabitants of this far north region believe that should a person hear the cry of any of the divers in the spring, and while fasting, the milk from his flocks will not curdle for the whole year. The people here make two sorts of hats from the skins of the different divers, which are either given as presents or sold to traders on the coast. 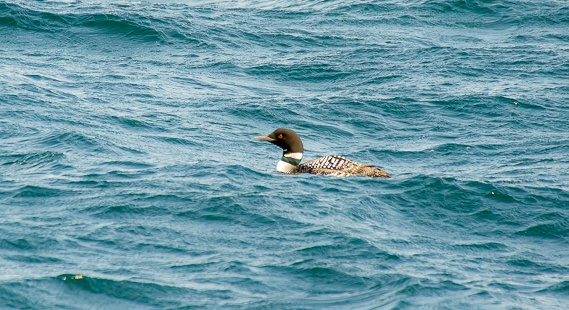 The one kind, and which must have rather a handsome appearance, is made from the skins of the Great Northern Diver; the shape of the head is formed out of several skins sewed together, and an entire skin, with neither the head or tail cut off, is placed overhanging, the head and bill turned in front. The other kind of hat is made of five skins of the neck of the Northern Diver, with a portion of the breast specially prepared.